JOYN’s launch event was a life-changing experience, as you can see from the official launch video. The pioneer in Behavioral Wealth Management evolved their old-school name, and in doing so engaged audiences like never before. 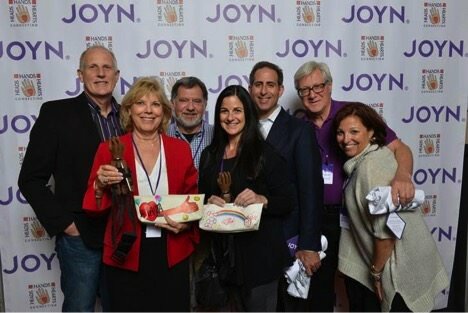 Recently, JOYN told AnyRoad all about their event, which wholly embraced experiential marketing at a brand new level. "To bring both concepts to life, they needed to reveal them with a bold, visionary, cohesive way." JOYN is the country’s first Behavioral Wealth Management firm. It started in 2005 when the company leaders recognized that “more money” didn’t create “more joy.” The financial industry’s focus on numbers ignored essential variables like time, talent and relationships. Nor did they recognize that human emotions affect life-changing financial/life decisions (rarely for the better). JOYN invested a decade to re-engineering the company to knit behavioral science into their wealth management practice. In 2015, they soft-launched a new discipline, Behavioral Wealth Management, on the website, then secretly chose “JOYN” as the new brand name in 2016. To bring both concepts to life, they needed to reveal them with a bold, visionary, cohesive way. Secret-keeping can be a fantastic tool for building up suspense about a brand re-modeling. The big reveal can draw in new customers and keep existing or old customers on their toes. Re-branding can be a risky move for many companies, but when done well and incorporating experiential marketing, it can also be an effective strategy. For maximum impact, the workshop had to be secret. The invitation campaign promised a “top-secret, life-changing” experience, building buzz. 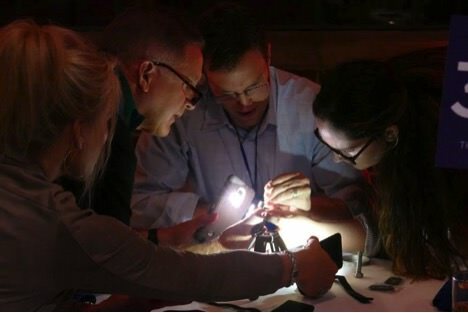 The secret: guests had one hour to team up and build 100 prosthetic hands for amputees in developing countries. From bags of parts, they assembled hands, decorated gift bags and wrote letters to recipients. As teams worked, JOYN interrupted them with challenges that forced them to recognize how emotions affected their behaviors, a key component of Behavioral Wealth Management. “We knew we’d change the lives of amputees and their families. We also believed some participants would describe the experience itself as life-affirming (we were right),” says Harris-Medcalf. In that hour, guests used their wealth of time, talent, and relationships in a way that created a powerful sense of purpose. In the emotional debrief, the CEO explained how sense of purpose (a) is scientifically linked to longevity and (b) is a component of an extraordinary, joyful life. At that moment, JOYN announced their new model and name via a video; a giant JOYN banner unfurled from the ceiling; lights and music swelled. Afterward, we invited guests to join a group hand-fitting trip before they took team photos for the gift bags, which they hung on a pegboard display. “We hosted 359 attendees (120% of our 300 guest goal). As planned, we tied the top secret reveal into our official email announcement the next day. Our goal was a 45% open rate and 50% read rate,” says Harris-Medcalf. The results: 482 client engagements via a 62% open rate (vs. industry average of 20.97%) and 81% read rate. They also engaged 1,697 people with 2,000+ event photo views on social media. Lesson learned: Be creative and find unique ways to tie in the experience with what’s at the heart of your company’s mission. There are no rules that have to be followed with experiential marketing besides tapping as many senses as you can and engaging with your audience in real ways.